Abiding by the ethical norms & standards of the organization, we have have been able to provide the customers with excellently designed Permanent Magnet Products. Heavily constructed using high retentivity anisotropic permanent magnets, the range is widely used for separating ferrous impurities from varied material. Extensively demanded in diverse industrial applications, the range is acknowledged for easy operation, excellent performance and sturdy built. From the day of commencement, we are engaged in providing the customers with a remarkable assortment of Magnet. Designed as per the global quality standards, the range is widely used for maintaining the free flow of varied material that cannot easily flow through chutes, hoppers, and bins. Also, the range eliminates manual efforts that are required to push the material for regulating the flow. 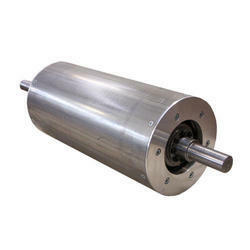 Owing to our expertise in this domain, we have been able to provide the customers with highly efficient Magnetic Pulley. The offered range is manufactured in accordance with the global quality standards by employing superior grade components, which are sourced from the reputed vendors of the market. Owing to this, the range is widely used for continuous separation of tramp iron metals from varied contaminated substances. Permanent Magnetic Drum Separator made from extra strong, high retentivity anisotropic permanent magnets so it doesn't require electric power. there is automatic separation for iron impurities. 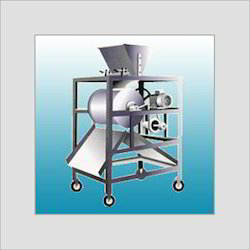 These separators are offered to our client at industry leading price. Looking for Permanent Magnet Products ?